MOSCOW, August 1. /TASS/. 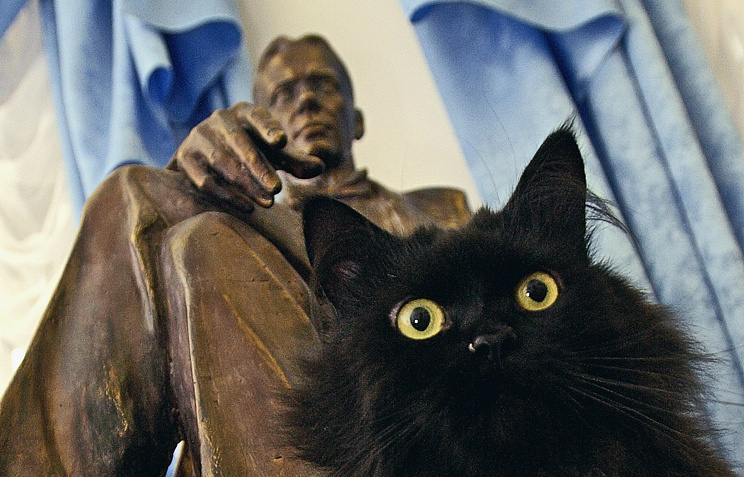 Moscow’s renowned Bulgakov House has filed a report with the police over the kidnapping of their cat, Behemoth, named after the well-known character from Bulgakov’s novel The Master and Margarita. The now missing feline has been on the museum's staff for the past 14 years, Bulgakov House Director Nikolai Golubev told TASS on Wednesday. He said an unidentified woman had abducted the feline. "The cat was kidnapped in the morning. When the museum opens, the cat walks around the yard and gets into all entryways of the house like the house owner. A woman tucked it into a bag and left in the direction of a metro station. The girl who had witnessed this called us," Golubev said. He said they had already filed a report with the police. "We will try to examine the video material from the CCTV cameras," the director said. According to him, strange comments have been posted on the museum’s Facebook account of late. "We have been having some strange comments. 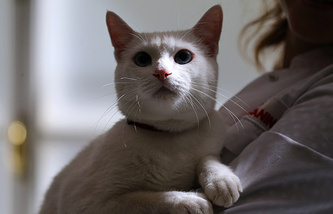 ‘Why are you letting the cat out?’ We said it is a free animal and has been with us for the past 14 years, getting a salary," Golubev said, adding that the comments contained a veiled threat. Several excursions have been cancelled after the disappearance of Behemoth, and the museum is doing its utmost to return the feline that has become the symbol of the museum, the director said. The cat had lived at the museum since 2005, had its own medic and stylist, and was fed under a special program. "(His) distinguishing characteristics are as follows - a black fluffy Siberian-Persian cat, the collar has the address label in the form of a bone, weight about six kilograms," says the description. It also pointed to cat’s ‘harsh nature’. Behemoth is among the most bizarre characters of Mikhail Bulgakov’s novel with many of his remarks widely cited nowadays. He is an enormous black cat who speaks, walks on two legs and can even take human form at certain times. The cat is a member of the entourage of the mysterious foreigner and Professor Woland that also includes witches and vampires.